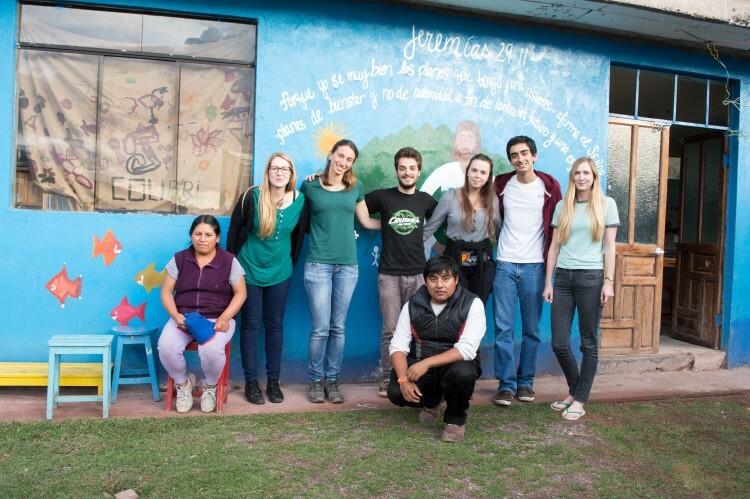 Volunteering abroad has often been regarded as the preserve of the pre- or post-university student. But having personally spent the past 18 months travelling and volunteering for a range of different social organisations, I’ve been surprised by the varied demographic of those whom I’ve met and the number of others who are seeking to use volunteering abroad for a career change. Yes, I’ve encountered the “gappers” teaching English or working with animals in the Amazon jungle, all searching for that CV gold dust and volunteering anecdotes to take home; a number of others have been recent graduates (many in their mid-twenties) looking to gain experience for a career in the international development sector. Yet there’s been a significant range of other mid-career professionals. Many are seeking to transition into a new career – aware that volunteering can help them to get a new job, whatever it might be – and have been driven from unsatisfying careers to travel the world and see where they end up. Unfortunately, the vast majority of information on the internet about the benefits of volunteering abroad is geared toward this small demographic of job-seeking, career-as-yet-unknown teens or 20-somethings. What about the rest of us? Those who wake up one morning wondering is this it? Where’s the information about why we should, and how we can, be using volunteering to widen our job prospects, and help us to re-enter the job market revitalised, enthusiastic, and fulfilled? How can you use volunteering for a career change? Here’s where I come in. I believe that volunteering can easily be used to help locate new interests, open doors into new sectors, and eventually secure a new job – whether in a new field, or one in which you’ve worked before. I’m hoping to give you some solid advice and inspiration for you next career steps: from the initial considerations before jacking in the 9-5, CV-enhancing skills that few jobs outside of the volunteering sector can offer, and some links to where you should start looking for your placement. Are you bored, undervalued, underpaid, not given enough opportunities to grow or chances to self-manage? Not all of these can be solved by volunteering, and it’s important that you pin down exactly what you hope to achieve from volunteering abroad. Bored? Volunteering will certainly be anything but boring. If you’re driven by a desire to experience life in a developing country – a context that is most likely to be considered fairly challenging – daily life itself will require you to adapt to the new, often strange, demands of your new home. Additionally, any placement that involves working with other people can be relatively unpredictable, but this makes for varied, interesting work. These new cultures that you’ll encounter, including the way of life you learn from the communities (and the one you adopt yourself), will ensure that volunteering never has a dull moment. Undervalued? If the organisation you choose has done its work to integrate and meaningfully with the community, you should find yourself welcomed with open arms into the project. It’s most certainly a way of feeling appreciated, although the extent to which you feel you achieve everything that you set out to do is arguable. Underpaid? It’s unlikely this will be solved through volunteering. If you’re in it for the cash, look elsewhere. Lacking opportunities for development? It doesn’t matter what type of volunteering you choose; using your initiative will affect how much you take from the experience. The extent to which volunteering can give you the chances to grow personally is directly proportional to the amount of effort you put in. Frustrated by the no chances to self-manage? Volunteers with small NGOs often find themselves thrown in at the deep end when it comes to volunteering. As a result, there are plenty of opportunities for self-managing. But working with a wide range of people from different cultures, contexts, and languages will also be essential. Do you have the funds to volunteer? If you search “volunteering” in Google, you’re destined to come across some of the more expensive ways of volunteering: companies that specialise in matching up volunteers with charities and organisations across the world – all for a fee, of course. Now, while the question about if you should pay to volunteer remains a difficult one, whether you do go through a company or organise your own placement, you will always end up paying for at least your food and accommodation. When I volunteered in Bolivia, decent accommodation, eating out regularly, and travelling at weekends came in at around £400-£600 ($570-$870) per month. Getting a reasonable idea of the cost of living in a country before you select a volunteer placement is essential. Organisations can often send you an estimate of these to help you assess the viability of choosing a certain country. What skills and benefits can volunteering abroad uniquely offer? Volunteering abroad has some features which make it ideal for those looking to switch careers as it can provide resume-enhancing skills, but, more importantly, a new mind-set that might lead you to head in a completely different new direction with your life. For me, since volunteering in South America, I’ve decided that I want to work in the international education sector, most likely with a focus on this continent. I still don’t know exactly how this will pan out, but I’m positive that by continuing to use my time effectively in supporting small, grass -roots volunteering projects, I am gaining useful skills and experiences that will assist me in achieving this dream in the future. One of the characteristics of volunteering which sets it apart from a conventional career change, is the chance it offers to experience and learn about your own interests. In a normal job, if you realise it’s somehow not for you, you’re stuck with it. With volunteering, you finish your placement, re-evaluate what you didn’t enjoy, and then move on. My initial position as Volunteer and Communications Director for BiblioWorks was an entrance into the unknown: I wasn’t sure what I wanted to do after leaving my teaching job in the UK. Working with a literacy charity while having the time to learn Spanish seemed like an ideal situation. Following my six months in the role, I was certain that volunteer coordination was not the area in which I’d be interested in working. I had realised that I was seeking a job that was more hands-on and more closely linked with teaching. My next two volunteer positions sought to rectify this, as I found myself doing English teaching, leading workshops (in Spanish) with both children and adults, and redesigning the curriculum for one of the organisations. If I had dived straight into a paid job in this sector, there would have been no room for this change of direction or the flexibility to try new positions. Also, going in as a mid-career professional meant I had a lot of the skills needed, but perhaps not the concrete experience that may have otherwise have prevented me from getting a comparable paid job. Thanks to this, I was able to assist the organisations, all while learning about what exactly I’m looking for. If you’re seeking experience and opportunities in a brand new sector, volunteering can easily put you in touch with useful connections. When I was working with LAFF in Cusco, I had the chance to learn from professionals seeking to work in a range of areas of development, many of whom I’ve remained in touch with. Now aware of one another’s interests and skills, I know that any opportunities that they come across that they believe would suit me, they’ll be quick to share, and vice versa. Working alongside volunteers from a wide range of countries will considerably expand your network of global connections. As a result, you might be surprised by the interesting opportunities that might come your way as a result. Particularly relevant to those seeking to transition into a career in international development, living abroad and learning to cope with new (and often very difficult and frustrating contexts) is an incomparable skill for your CV. Navigating the challenges of a new language, a new culture, even a new way of shopping (such as a local market rather than a supermarket), all of these require the skills of resilience, adaptability, and oodles of patience. It’s incredible the new perspective that learning to accommodate a new way of life can bring: having had the experience of dealing with another country’s quirks (obstructive bureaucracy, non-existent infrastructure, and daily battles with communication), you’ll find that your new workplace and its own eccentricities far easier to navigate and handle. Spoken in front of a large group of people in another language? Check. Liaised and organised events between various people, in multiple languages, and with varying degrees of interest from the partners? Check. Fundraised online and in person, managed publicity and advertising, interviewed, organised, and trained volunteers? Yes, yes, and yes. Appeared on TV and been interviewed in another language? Hell yes. These are just a handful of the experiences I’ve had over the past year and a half. Volunteering abroad gives unrivalled opportunities to thrive in (often very strange) new environments, helping you to stand out from the rest of the field when applying for a new job. Every single moment will inspire new examples of how you meet those all-important competencies, meaning you’ll never be stuck for relevant, engaging experiences to discuss at an interview. So, how can I get started? Read my articles about why you should volunteer abroad and the questions you need to ask yourself before even looking at organisations. 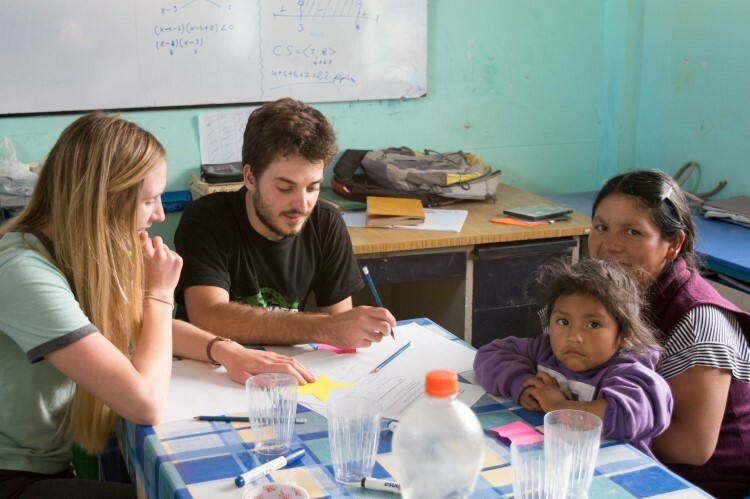 Check out my guide to finding volunteering placements in South America (including organisations offering cheap and free opportunities). 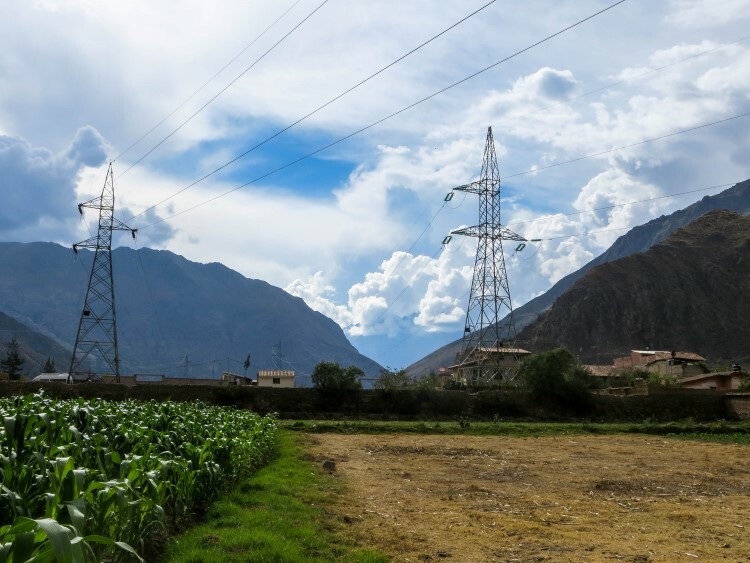 Read about my experiences of volunteering, such as my piece for GapYear.com about Travel and Volunteer as a Career Move or my experiences of teaching in a school in a rural Bolivian community. Have you got any further questions about how volunteering can be meaningful to you? Get involved with the conversation by posting in the comments below. This is all really great advice and I always love this topic! Volunteering abroad has so many different uses, and this is one of the best ones (also one people may not consider). Such a great resume builder and a great way to reassess priorities. Thanks for sharing! Hi Chad, thanks for the feedback! Yeh it is great for your resume as well as the life experiences it leads to! This was really helpful advice, thank you! I want a career ‘reset’ and was thinking of volunteering overseas as a way to try different roles as well as help a local group of people. I’m so pleased you found it useful! Yes it is definitely a great way to “reset” and broaden your idea of what you can/want to do in life. The best of luck to you and please let me know how you get on – I always love to hear others’ experiences of volunteering!